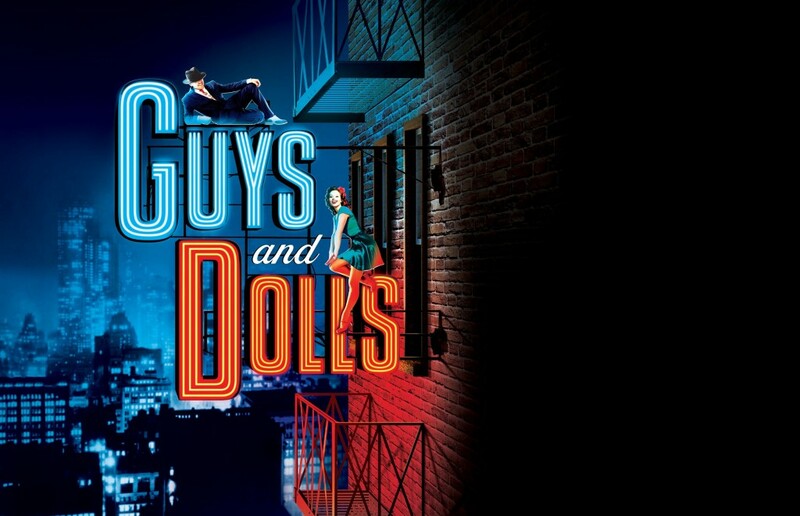 Surprisingly Chichester Festival Theatre has never gambled on Guys And Dolls in its 52-year history – but all that is about to change with a production at the heart of its 2014 festival season. Guys and Dolls – a joyous and vibrant celebration of Prohibition-era New York will be the first musical to open in the Festival Theatre following its £22 million redevelopment. The musical also marks debuts at Chichester for director Gordon Greenberg and choreographer Carlos Acosta. This hugely popular and multi award-winning production first premièred on Broadway in 1950, capturing the optimism and energy of post-World War Two America. The musical was based on the colourful stories by Damon Runyon, an American journalist and author, celebrated for his vivid fictional depictions of the gamblers, hustlers and actors of New York. The cream of gambling’s high society are gathering in New York City for Nathan Detroit’s popular dice game. All the hotshot guys are here: Harry the Horse, Liver Lips Louie, Rusty Charlie and Big Jule from Chicago. Nathan could make a fortune. Except he’s stony-broke and can’t afford the $1,000 needed for a deposit on a room for the game. The only hope is to lay a bet he absolutely can’t lose. Enter the iciest doll he knows, missionary zealot Sarah Brown from the Save-A-Soul Mission, and notorious player Sky Masterson, a gambler who can’t turn down a challenge – even when the wager requires he woo pious Sarah all the way to Havana. The musical originally won five Tony Awards including Best Musical. It includes the hit numbers Sit Down, You’re Rockin’ the Boat and My Time of Day and inspired the award-winning 1955 movie which starred Marlon Brando as Sky Masterson and Frank Sinatra as Nathan Detroit. Clare Foster is to play Sarah Brown. Her previous Chichester credits include The Master and Margarita and Out of This World. Other credits include West End productions of Merrily We Roll Along, Crazy for You and Avenue Q.
Jamie Parker plays Sky Masterson. His Chichester credits include Rosencrantz and Guildenstern Are Dead. Other credits include Proof, Henry V, Henry IV Part I and Henry IV Part 2, and The History Boys. Peter Polycarpou plays Nathan Detroit. His Chichester credits include The Pajama Game, Sweeney Todd and Love Story, all of which transferred to the West End. Other credits include West End productions of Les Misérables, Miss Saigon and The Secret Garden, Oklahoma! for the National Theatre, and the popular BBC sitcom, Birds of a Feather. Sophie Thompson plays Miss Adelaide. Theatre credits include Clybourne Park, Into the Woods, and Company. She is well known on TV as Stella Crawford in EastEnders. The Guys and Dolls cast also includes Karen Aspinall, Lucy Banfield, Miles Barrow, John Brannoch, Stephanie Bron, Nic Greenshields, Mark Heenehan, Ian Hughes, Daniel Ioannou, Melissa James, Anabel Kutay, Melanie La Barrie, Lucinda Lawrence, Adam Margilewski, Neil McCaul, Harry Morrison, Michael Peters, Carl Sanderson, Matthew Whennell-Clark and Nick Wilton. Guys and Dolls runs in the Festival Theatre, Chichester from August 11-September 21.